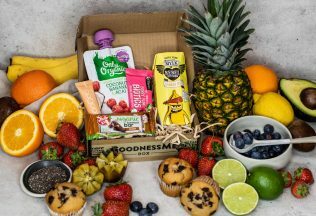 GoodnessMe Box, Australia’s largest health food sampling service has launched a Kids Box so you can enjoy the unboxing experience as a family now. With a $11.95 monthly subscription and free shipping, kids can now receive their very own box filled with 5-6 surprise healthy snacks. All the goodies are natural, nut-free and approved by a team of health-practitioners. Founder and Director Peta Shulman said the box aims to do two things: make parents’ lives easier by giving them options to throw in school lunchboxes, and get kids excited about eating healthily from a young age. “I check in with our community all the time, and so many mothers have asked us for advice about how to encourage their kids to not only eat healthily – but enjoy it,” she said. According to research from the NCIB, more than 95% of children in Australia and the US reported snacking consumption. The percentage of total daily energy intake from snacks was the highest in Australia with 33-34% energy comping from snacks. The launch of the Kids Box isn’t just innovative, but timely. The Australian Bureau of Statistics National Health Survey for 2017-18 showed that 94% of children between the ages of 2-17 aren’t eating enough fruit and vegetables. The magic number for growing bodies is 2 serves of fruit and 5 serves of vegetables per day. The consequences are glaring. The same study found almost one-quarter of children are classified as overweight or obese. Shulman believes that to reverse this problem, we need to empower kids and get them actively involved in healthy eating.